Youth ministry in the Diocese of Oregon is coordinated through the Diocesan Youth Commission (DYC). DYC members are appointed by the bishop and serve three-year terms. The convener is Rose Thomas of St. Mary's, Eugene. Safe Church requirements: all employees and volunteers who work with youth are required to complete Safeguarding God's Children. Click here to learn more and to register for training. Background checks: all employees and volunteers who work with youth are required to complete background checks. Click here to learn more. Scholarship funds are available to assist local leaders in attending national and regional conference. Contact the Rev. 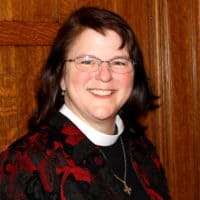 Canon Carol W. Sedlacek for more information and application forms.